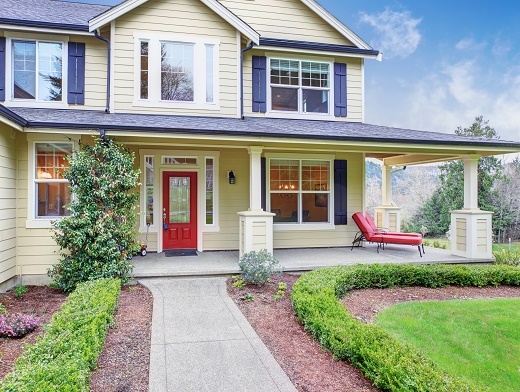 Increased Home Value – Adding new siding or replacing the siding on your home not only improves the aesthetic qualities of your home, it can help increase your property values. On average, a report in 2014 found that a siding remodel on your home will recoup around 78% of the project’s cost. Though this may not seem efficient enough, energy savings can make the project well worth the associated price. Improved Energy Efficiency – When you install new siding on your home, it is like wrapping a blanket around your home to keep your air conditioning unit from working overtime. Without the proper siding installed, you could be paying more in your energy bills than necessary. Leaks or cracks in your existing siding can lead to decreased energy efficiency as time progresses. Cosmetic Value – When you arrive home from a long day at work, are you happy with the way your home’s exterior looks? If you aren’t, installing or replacing your siding can add an immediate improvement to the aesthetic appearance of your home. If you have damaged or deteriorated siding currently on your home, you can too benefit from the improved appearance of siding replacement. Why Timco Construction for Siding Replacement? Our team at Timco Construction can come in and repair any broken or missing siding, or replace your siding, to help ensure the outside of your property looks sensational. In the event you are looking to have all of your siding redone, we can handle that as well for you. Regardless of whether you want traditional vinyl siding, brick siding, wood siding, stone siding or stucco siding, our team of professionals can come in and get to work outfitting your property with the siding you desire quickly and efficiently. Give us a call at 918-779-7330 for immediate service and pricing today! Previous Previous post: When Should You Remodel Your Kitchen? Next Next post: A Sunroom Addition Can Enhance Your Summer!